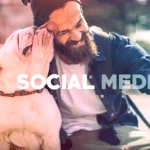 The first month of 2019 brought some big changes to our favorite social media platforms. Check out our recent vlog that highlights the major updates in January. 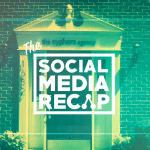 Welcome to this month’s edition of Social Media Recap – where we discuss all the latest happenings in the world of social media. Here’s all the good, bad and ugly that happened in January. Although the Stories feature is growing faster on Instagram, Facebook still sees Stories as the future of social interaction. With that in mind, Facebook released a new set of call to action stickers for Business Pages to use in Stories. This direct response tool hopes to enable businesses to make more effective use of the option. Also on the topic of Facebook Stories, the platform is testing a new option that allows users to share events they’re interested in to their Stories. At the end of the month, Twitter announced they would be beta testing new conversational features with color coded responses. They also announced that after user complaints they will be making their dark mode even darker. For all of us managing Company Pages on LinkedIn, you’ll be happy to hear that the platform recently unveiled new Company Page functions, that include employee insights and an expanded job alerts system. Instagram now lets users post content to multiple accounts within composer. And after updating their API, users can directly schedule videos, but keep in mind, this is only for Instagram business accounts. So that’s it for January. Be sure to follow us on our many social platforms to stay in the know and never miss an exciting episode.